This post from the dentist at Rotem Dental Care in Toms River NJ is about tooth enamel, which is the hardest substance in the human body. Enamel’s job is protecting teeth from the constant assault of chemicals in food and drink. Enamel also safeguards tooth nerves from hot and cold food and beverages. That’s why enamel loss often causes tooth sensitivity. The team at Rotem Dental Care encourages you to protect your tooth enamel to ensure a lifetime of good dental health. This may seem counterintuitive, but sometimes it is better NOT to brush immediately after eating. Specifically, after eating acidic items. The acid weakens the enamel which can be further weakened by brushing. Waiting 60 minutes will allow the acid to dilute. Rinsing immediately after eating acidic foods is useful, because it washes away some food particles and speeds up the dilution of the acid. A condition known as dry mouth can cause or exacerbate enamel erosion. The calcium and phosphate in saliva safeguards your enamel. When there is little saliva, the enamel is left unprotected. Chewing stimulates saliva production but constant snacking is not the answer for dry mouth. Chewing sugar-free gum and sipping water regularly can stimulate saliva production between meals without increasing the risk of or upping your calorie intake. Another problem that wears at enamel is tooth grinding, or bruxism. If you are one of the many people who grind their teeth at night, it’s vital to get a mouthguard right away. People who grind their teeth are at a high risk for enamel erosion and the dental caries that can follow. Athletes should also protect their teeth on the playing field with a mouthguard. If you sip soda, tea, or coffee all day, we suggest you switch to water to halt any enamel erosion that has already taken place. It may be a hard change to make, but your teeth will thank you for it. 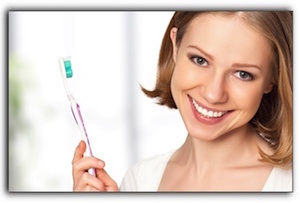 At Rotem Dental Care in Toms River NJ, the dental health of each and every patient is important. Our services include general and cosmetic dentistry. Call today to schedule your next six-month cleaning and checkup. ‹ How Do Implant Dentures Work?